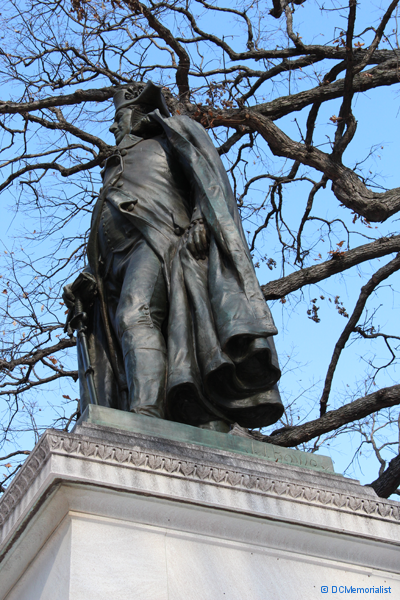 The idea of erecting a statue of Commodore Barry was first suggested by Archbishop Ireland (his name) during a banquet of the Friendly Sons of St. Patrick in New York and furthered by the Emmet Club of Washington, D.C. A bill was introduced in Congress by Representative Driscoll of Saratoga, New York, in August 1902 to appropriate a sum of $25,000 for the purpose of a statue. 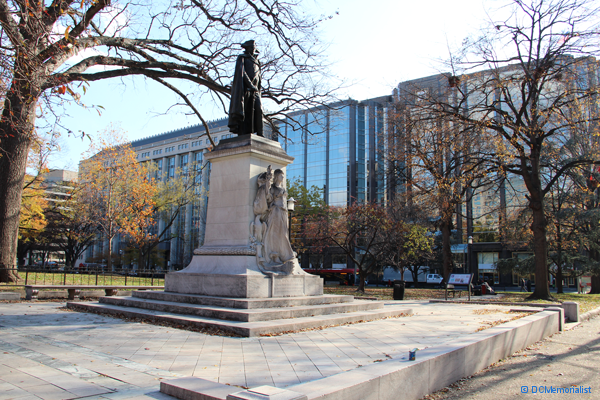 It wasn’t, however, until 1906 when Congress appropriated $50,000 for the memorial and statue. 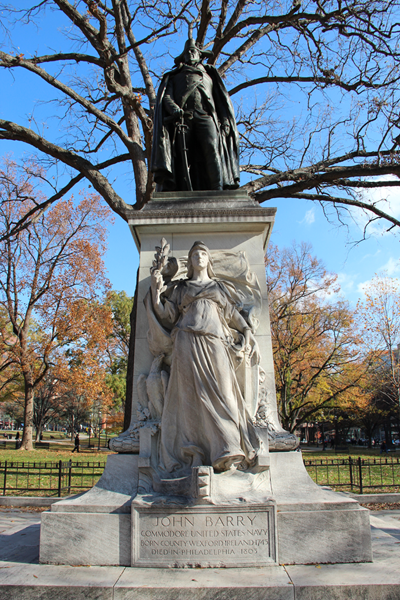 The first go at a statue for John Barry was held in April 1908 when a competition was opened for 25 American sculptors of Irish descent. Of the 25, seven sent in designs, these were whittled to three designs and then in February 1909 Andrew O’Connor was selected as the competition winner and he sent in his final design in June 1909. This initial design and a subsequent remodel were rejected due to opposition by the Ancient Order of Hibernian and other Irish societies. Finally John J. Boyle, of New York, was asked to submit a model. 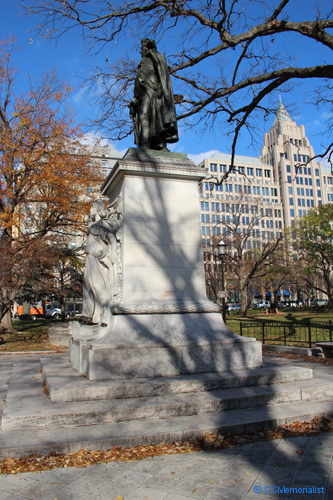 The first model that Boyle entered was rejected but his second was ultimately accepted as the final model for the sculpture that is located in Franklin Square. The statue was based on the only portrait known to exist – that by Gilbert Stuart which hangs in the statehouse in Philadelphia – and captures Barry in 1802 as a 57 year-old in poor health, not as a young sea captain. 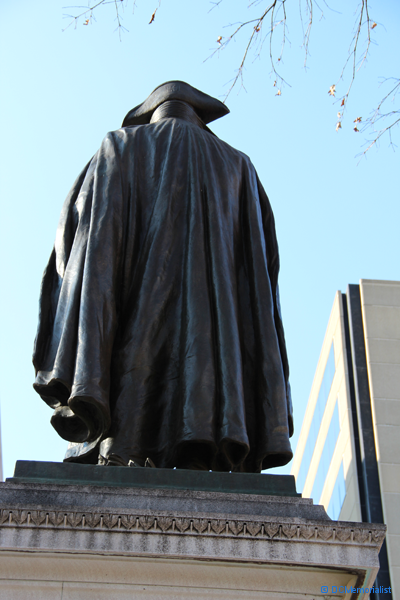 The statue shows Barry in uniform, with a cloak thrown over his shoulders. His right hand rests on his sheathed sword, the point of which is on the ground. His left arm hangs naturally and his head is turned a little to the right.The emblem of the Society of the Cincinnati is featured on his left breast. Barry was an original member of the Pennsylvania Society of the Cincinnati institute October 4, 1783. There is a stone base of 30 feet that originally was landscaped with bushes – but those have been trimmed back in recent years. Just before the unveiling Admiral George Dewey, who had been asked to give a speech at the unveiling, noticed that Barry’s back was to the street. Dewey said that a brave officer like Commodore Barry never faced the rear so the state was turned around before the dedication. John Barry was born in Tacumshane, County Wexford, one of Ireland’s foremost fighting counties, in 1745. He moved to Philadelphia when he was 15 years of and became a sailor. At the start of the Revolutionary War he immediately signed up for service and was put in command of the Lexington, the first vessel that carried the American flag on the ocean, and soon afterward captured a British was vessel called Edward. During the winter hiatus of 1776-1777 when thick ice stopped naval fighting, John Barry commanded a company of volunteers and assisted with operations in Trenton, NJ. He has been referred to by historians as commodore, but he was never commissioned so that title is a courtesy. He was, however, the first captain of the American sea force, and therefore, often referred to as the Father of American Navy. For many years during the 1920s the Sons of the Revolution Commemorated Barry’s Birth by placing flowers at the statue. (1924, 1926, 1927). 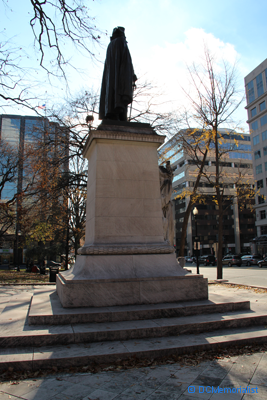 Barry Statue Contract: John J. Boyle, of New York, to Erect $50,000 Memorial Here., The Washington Post, 13 Dec 1911: 14.